Advent graces the weeks before Christmas, but if we’re not careful it gets lost in the holiday shuffle. We all do the holiday shuffle. The weeks before Christmas can be hectic, so full of pre-Christmas activities that we miss its true spirit, which is a spirit of holiness in the midst of the ordinary. What is Christmas but the celebration of God’s love for the ordinary? When the Son of God is born he does not come in a spectacular manner, and the first to get the news is a crew of bumpkin shepherds. Jesus is born in the most ordinary circumstances, and he comes into the world in the usual way – “born of a woman,” Saint Paul reminds us, (Galatians 4:4). So Advent is a time to remember the holiness of the ordinary. The ordinary world and ordinary life are so good that God’s own Son embraced it for himself. Look around at all the ordinariness in your life. There you are, and it’s all holy because God is present in ordinary situations. Look. Look closely. Look quietly. Look prayerfully. The smallest, most ordinary task is holy. 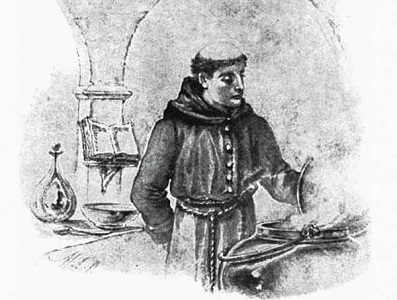 Brother Lawrence, a nobody cook in an obscure 17th–century French monastery, turned a little omelet in a pan and saw that it was holy. He picked up a straw from the floor and saw that this was holy. All the ordinary things in your life are holy, too. in the ordinary activities of my ordinary day.